I was thinking of the desert when I took this picture not long before leaving for an interview in Arizona, knowing I might soon be working with a palette of the browns of the Southwest rather than the greens and blues of the Northwest. Sam is not yet a desert cat, and does not yet know he’s about to be a desert cat, that secret will keep for a few weeks. He’s had to adjust to a big change every few years, first the death of his beloved Scout (and the arrival of Boo), then the death of Emma (and the arrival of Trixie), and soon a long trip to his new home. His coloration might be perfectly suited for the desert but he will be, as he has been, an indoor cat. 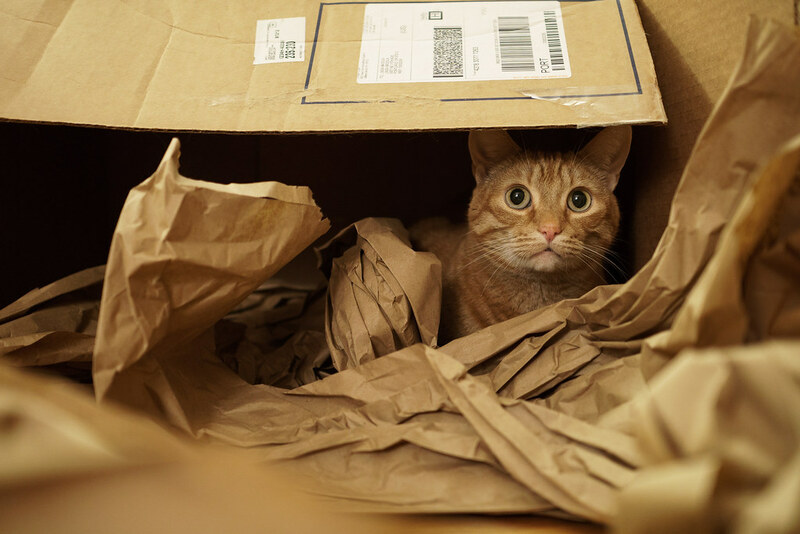 This entry was posted in Pets and tagged cardboard box, cat, orange tabby, Sam, sitting. Bookmark the permalink.